Ok, maybe that’s a bit harsh. Comfort has its place. My bed is comfortable. So are my yoga pants. My red flip-flops I got from Brazil a few months ago are too. I’ll bet you’ve got a list of your own. But living a life of complete comfort isn’t exactly a goal that you should be striving for. In fact, I believe living too comfortably can cause you to settle for a life that’s less than what you’re capable of. So you should actively look for ways to do things to make yourself uncomfortable. When you do, your life and your business will reap rewards you never imagined possible. 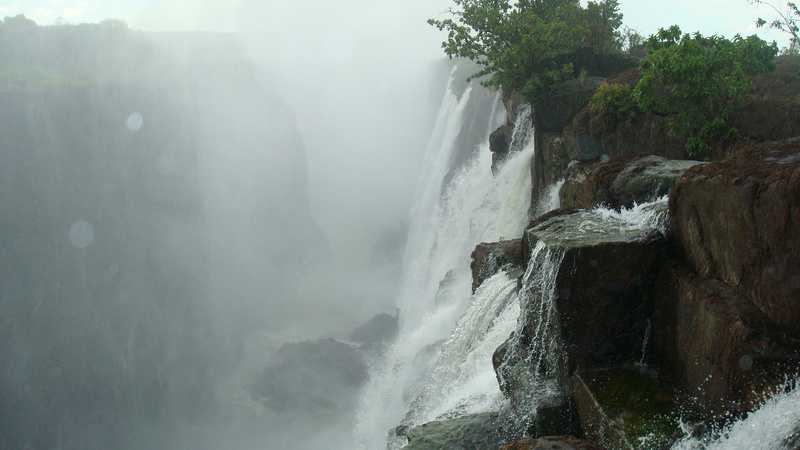 A few years ago, I visited Victoria Falls in Zambia with a friend. 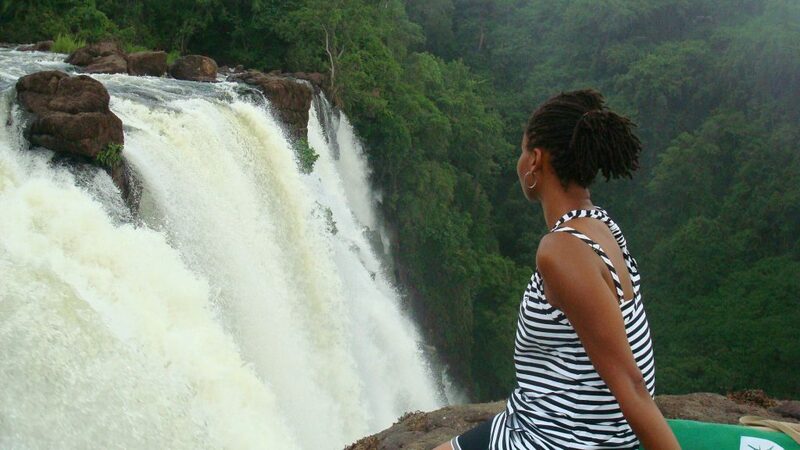 It was a beautiful site watching one of the world’s wonders and marveling at the magnificence of it. While we were sitting in a calm part of the falls, we watched as visitors trekked across what looked like a 6-inch wide beam. 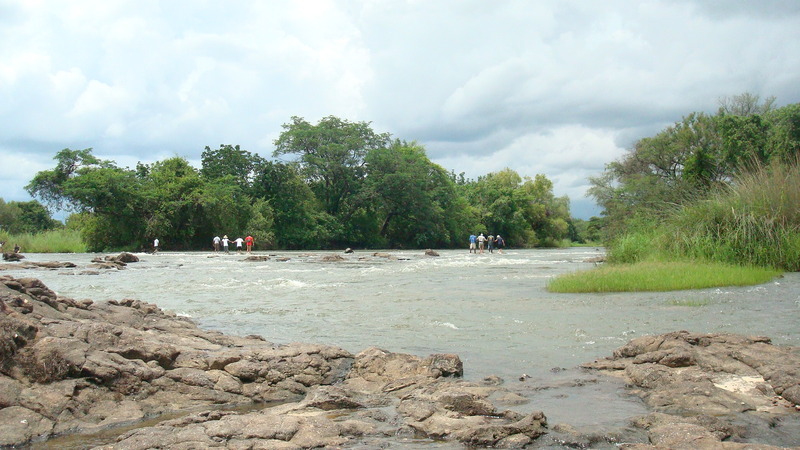 As they slowly made their way across, they worked to maintain their balance so they wouldn’t get knocked down by the flowing water or caught in the current. Eventually, each group made it across. Some did it with the help of a tour guide, and others made it on their own. Once they made it to the other side, we wouldn’t see them anymore. I remember wondering what was on the other side. I was curious about what would cause these brave souls to traverse the narrow beam, when they could have easily experienced the magic of the falls without it. Eventually, my curiosity got the best of me. I wanted to find out what was on the other side. I wanted to see what leaving my comfort zone of chilling on this stable rock would bring. I tried to talk my friend into going across to the other side with me. We started, and made it a few steps in. But he soon decided he wasn’t having it. He had no need to go see what existed on the other side of that beam. A few days later, I went back to the falls on my own. I had one mission in mind – to make it to the other side. And I made it! And I was so glad I did! No longer did I experience the great and mighty Victoria Falls from a distance. 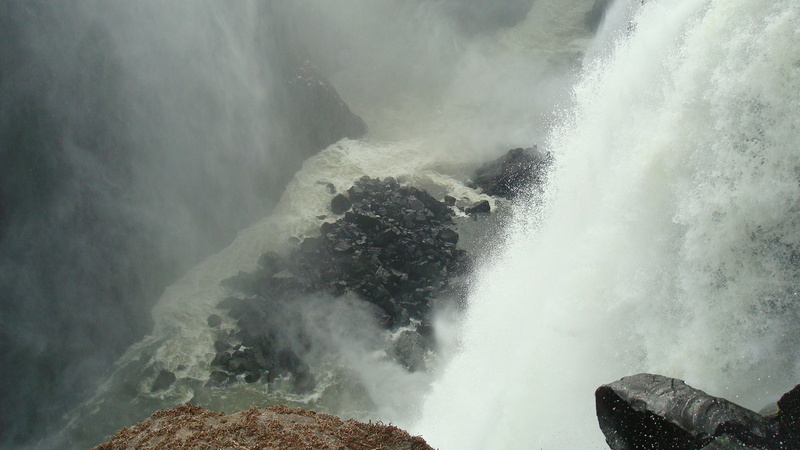 I was able get a front row seat, and feel the strength of the falls on my skin, with no barriers to hold me back, or to tell me how far I was able to go. By leaving the comfort of my safe rock, I experienced more than I knew was even possible just a few days before. While I experienced joy on the other side of a bit of nervousness and discomfort, there is something else to consider. There was no real downside to me not going off and exploring. But that’s not always the case. Sticking with what is “safe” and comfortable, can also be detrimental to both your business and your life. What I took from that experience reiterated a few important lessons about life and business. A constant state of comfort may be great for sleeping in your bed, but not so much for living a fulfilled life. Here are three reasons why staying comfortable holds you back. Would you be happy if two years from now, everything about your life was exactly the same as it is today? Most people wouldn’t. That’s doesn’t mean that the life you are currently living is a hot mess. It just means you know you’d rather move forward, than backward. And moving forward, requires you to take some action. It requires you to do something, to leave your current state of comfort, to propel you in the direction of where you want to go. This is a law of physics. Newton’s 1st Law of Motion, describes how objects at rest will stay at rest, unless an unbalanced force acts upon it. Similarly, an object in motion will stay in motion unless an unbalanced force acts upon it. If you stay at rest in your comfort zone, both conventional wisdom and physics, say you are much more likely to stay there. And if you’re not growing, you are in essence decreasing. And you definitely don’t want that! But if you take action, by leaving your place of safety, you’re much more likely to stay in motion. You will move. You will learn. You will grow. And to build a business, growth is essential. It’s often difficult to visualize the benefits that can result from trying something new. So many people resist change. They get comfortable with their current state of affairs. Unfortunately, they don’t realize they could be depriving themselves from something a hundred times better than what they currently have. So if your looking to expand your horizons, or find new ways of living, enjoying, and serving, don’t close yourself off from new experiences. Embrace the discomfort that comes with the uncertainty of trying something new. Then imagine all the wonderful possibilities that can come your way as a result. The thing about living in your comfort zone is that it’s easy to get complacent. That’s dangerous because while you camp out in your “safe space,” the world around you is changing. 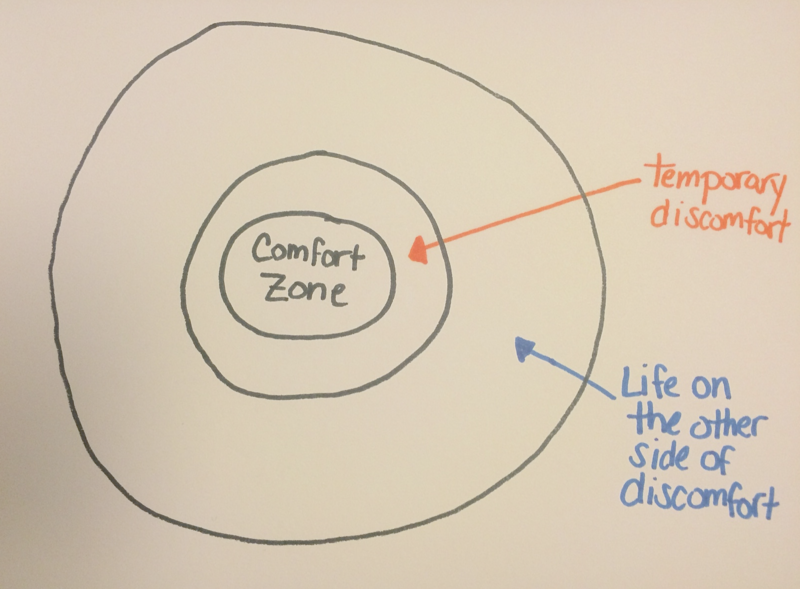 And eventually, those outside forces can disrupt the “safety” that exists in your comfort zone. And in some extreme cases, it can destroy your comfort zone. You’ve heard the stories of people who were living the good life, until they got laid off from their jobs. Or the economy turned south. Or [insert other unfortunate external event here]. The best way to protect yourself from the sting of what happens on the outside, is to continue to evolve. Grow. Expose yourself to new experiences. And then, no matter what situation you find yourself in, you’ll be able to adapt so you can find a solution that works for you. If you want to grow your business, you’ve got to give it the best chance it has to succeed. And that means stepping outside your comfort zone, so you can grow, explore new opportunities, and be ready for whatever changes come your way. Get comfortable with doing uncomfortable things. Here are a few steps to help you with that. Leaving your comfort zone is often easier when you have a specific goal in mind of what you’re hoping to find. Grab a sheet of paper, or open a new document in your computer. Then write down a goal you are striving for in your business. For instance, your SMART goal could be to grow your business by getting 3 new clients each month. When it comes to doing something you aren’t the most excited about, it helps to remember the big picture of why you’re engaging in the task. For many people, exercising isn’t fun. But, the end result of having a fit and healthy body helps to inspire them to keep going, even when they don’t feel like it. For the goal you set for yourself, write down what achieving that goal would mean for you, your business, and your customers. Be specific. Now that you’ve got a goal, and you know what’s at stake, you’ve got to have a plan for how you will achieve it. What are the specific activities you need to complete on a regular basis to reach your goal? Write down five tasks you need to consistently do to help you reach your goal. Some of the tasks on your list above may make you feel uncomfortable. The thought of putting yourself out there by cold emailing someone or going to a networking event may make you cringe. Instead of surprising your feelings, acknowledge them. Write down why you are uncomfortable doing some of the tasks on your list. Include your fears. For instance, your reluctance to sending cold emails may come from a fear of being rejected, or not wanting to “pester” someone else. Now you’ve acknowledged all the terrible things that could happen as a result of you leaving your comfort zone. Next, make a plan to help you prevent your worst fears from coming true. So let’s say you want to avoid rejection with cold emails. Brainstorm three things you can do to help increase your chances of advancing the conversation with the person you want to connect with. That may include researching the person you’re going to reach out to so you can include key points that connect with them. Or you could brainstorm different headline options until you figure out just the right one to get your email opened. You could even build a relationship with the person first via social media, so your cold email becomes a warm one. A plan won’t do you much good if you don’t work it! So go ahead, and take a step forward outside your comfort zone. And then another. And then another. You don’t have to go super fast. But you do have to get yourself in motion. A big part of what will keep you in your comfort zone are the people in your circle. If your crew is content to stay where they are, it will make it tougher for you to move. 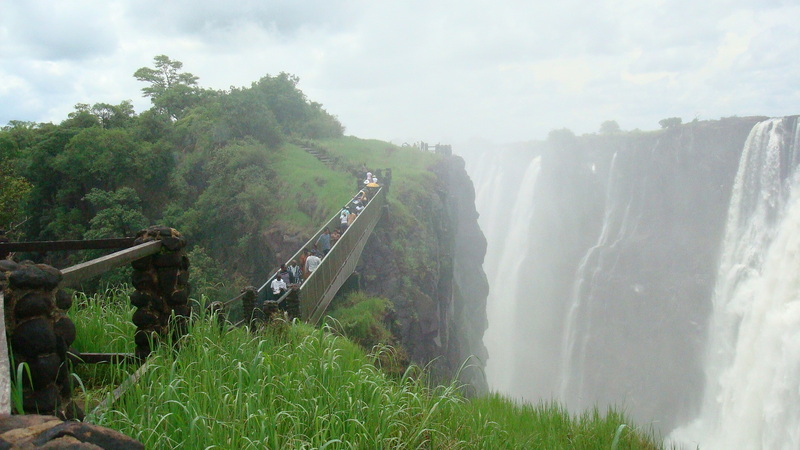 Remember, it wasn’t until I was no longer with my friend that I was able to cross that beam to the other side of Victoria Falls. You may need to separate yourself from those who are content to stay where they are. But you don’t have to take your journey alone. Hook up with a crew of people who’ve got similar goals as you do. Then you all can work together to inspire, encourage, and support each other along the way. The journey through discomfort is made a lot easier when you’ve got the right people by your side. As cozy and safe as it may feel right now, your comfort zone is not the place to be if you want to grow your business. Or if you want to live the good life over the long-term. So you’ve got to move forward. You’ve got to put yourself through a little bit of discomfort, so you can get to all the possibilities, opportunities, and blessings that exist on the other side. They are abundant. But the only way to reach them is to take a step in the direction of the unknown. And then learn to bask in it. And just in case you need a hand to hold on your journey, mine is there to be with you every step of the way. Thanks for this article, Sonia. It’s actually sad how we so often get sucked into our comfort zones without being aware of it. 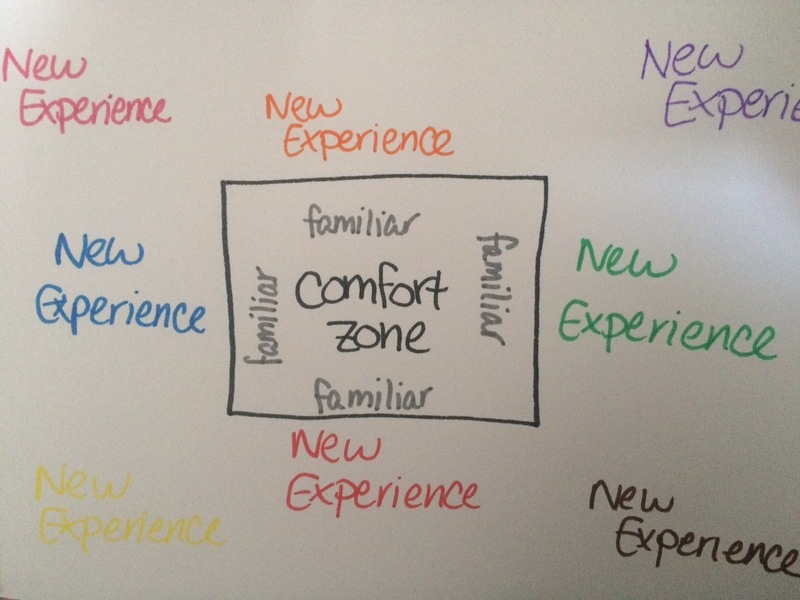 I really like your diagram with the “temporary discomfort” area :o) So true. Hey Colin – you’re right, it is sooooooo easy to get lulled into just hanging out in our comfort zone. That’s why we’ve got to actively look for ways to do things that make us feel uncomfortable. When we get into the habit of this, it’ll be easier to recognize when we’re not pushing ourselves. I enjoy reading your articles. Very relevant and helpful. This one in particular has been an eye opener, and wake up call, particularly because I am really in a comfort zone and I am not challenged at work.